I am anxious to start the school year so I can use this text as a read aloud for my middle school students. Her descriptive and poetic style is worth using as a mentor text with students. The vocabulary and specific ocean jargon, including her descriptions of the anatomy of the whale, that she interjects easily into the text would be a perfect companion to a science lesson if I wanted to use it as a read aloud in elementary school with younger students. It would also inspire students to question and connect with the natural world around them for those teachers who promote project based learning, independent research, or taking an inquiry stance in their classrooms. In this review I’d like to direct you to two audio clips that allow you to hear this incredible story from Lynne’s own voice and perspective. Once the story draws you in, I highly recommend reading the book to fill in the gaps left out of the audio clips. Have you ever had one of those terrible book hangovers? You’ve just finished the best book you read all year, and it talked about philosophy and relationships and deep, heavy concepts, and you cannot imagine reading another book and you’re sure any book you pick up won’t hold your interest. If that’s the case, you need to read Where’d you go, Bernadette by Maria Semple. My mom gave me her copy with rave reviews earlier in the year, and my sister just told me, oh, that book is hilarious, you have to read it. So I picked it up before bed, thinking, I’ll just read a chapter or two….two hours later, I dropped off to sleep, anxious to finish the book. So, I woke up the next day, made coffee, and didn’t stop until the book was done. The humor in this book and the one-line zingers is half the reason to read it. The other half would be the characters. Bee (short for Balakrishna) has decided to figure out where her mother disappeared to just before they left for a family trip to Antarctica (a reward for Bee doing well at her private school in Seattle, where they live). The story is told through a variety of letters, emails, reports, and first person narrative of Bee. She examines the relationships her mother, Bernadette, had with the other moms at the Galer school (she called them gnats, if that’s any indication). She examines the relationship her mother had with her father (who works at Microsoft), and she even includes emails from her mother to her personal assistant (Manuja, in India). Bee is a precocious eighth-grader and the wry humor and narrative style interjected after the emails and exchanges is hilarious. And while the book is fun and funny, there are some great life lessons in it. At one point, Bernadette stops the car because Bee’s friend says she is bored. “That’s right, you’re bored. And I’m going to let you in on a little secret about life. You think it’s boring now? Well, it only gets more boring. The sooner you learn it’s on you to make life interesting, the better off you’ll be.” Of course, Bee’s friend cries (and never returns for a playdate), but Bee never says she’s bored again. One of my favorite elements of this book, aside from the humor, was that it surprised me– genuinely surprised me. It is rare a plot twist can do that for me. There is an alliance formed in the book that I didn’t expect and it made the end of the book that much better for me. I highly suggest this as a summer read–it is quick, funny, and will cure any kind of hangover (well, at least the book-type). Just last week Allison (PCTELA Executive Director), Anne (2014 Conference chair) and I met in Lancaster to discuss all-things conference 2014. As you all know, the conference will be held in Pittsburgh this year on October 24 and 25. One of our keynote authors is the amazing Jay Asher. Speaking about him with Allison and Ann last week made me want to revisit his amazing novel Thirteen Reasons Why. From Goodreads – Clay Jensen returns home from school to find a mysterious box with his name on it lying on his porch. Inside he discovers thirteen cassette tapes recorded by Hannah Baker, his classmate and crush who committed suicide two weeks earlier. Through Hannah and Clay’s dual narratives, Jay Asher weaves an intricate and heartrending story of confusion and desperation that will deeply affect teen readers. As I said before, I read this book a few years ago and decided to revisit it recently. Not only could I not put it down for the second time, but also my students are just as obsessed with this book as I am. 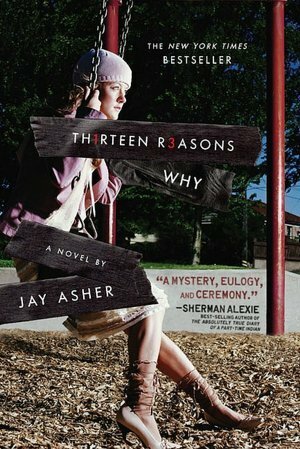 Thirteen Reasons Why has been checked out of my classroom library more than any other book on the shelves. Every time I hold a “title talk” in my room, at least one student is reading 13RW. In fact, there was a waiting list this past school year…I couldn’t even keep it on my shelf. Not a bad problem to have. Students love it. I love it. You should definitely read it. And come hear Jay speak at PCTELA 2014! 1. Book people work and shop at indie bookstores. Your local bookstore is guaranteed to have a nice gang of quirky booklovers on both sides of the counter. You’ll find staff who’ll be thrilled to help you find books you’ll like, and you’ll more than likely strike up a conversation at the counter or in the aisles with somebody who’s interesting and worth talking to. Not feeling social? No worries, because indie bookstores are the kinds of places with nooks and crannies where you can get lost in a book and nobody thinks it’s weird. We love books, too. 2. 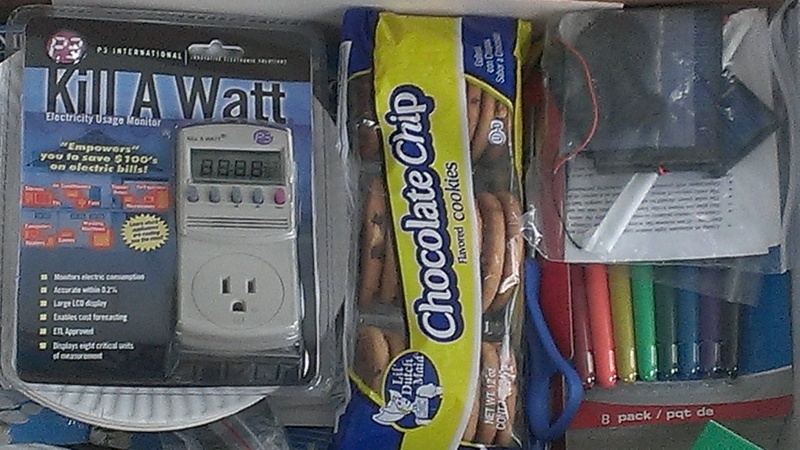 You’ll find things you can’t find at a big box store, and won’t think to look for online. Indie bookstores, whether they sell used books or new, will have a very particular stock. Sure, they’ll probably have the stuff everyone is reading, but they’ll also have books you just plain won’t see at your airplane-hangar-sized retail giant. And no amount of clicking links at an online retailer can replace the thrill of browsing the aisles and coming across that perfect book you didn’t even know you needed. At Webster’s, we have rare editions and books from university collections and all kinds of things that aren’t for sale most places. 3. Your money stays in your community. I don’t know where Mr. Barnes and Mr. Noble and Ms. Amazon live, but I’m pretty sure it isn’t State College, PA or Tucson, AZ, or Rochester, NY or Oxford, MS. All these towns (and hundreds of others) have indie bookstores. When you buy a book at one of these stores, your money is helping keep local people employed and helping save one more storefront from the onslaught of the Big Boxes. 4. Kids love bookstores and bookstores love kids. Trust me. 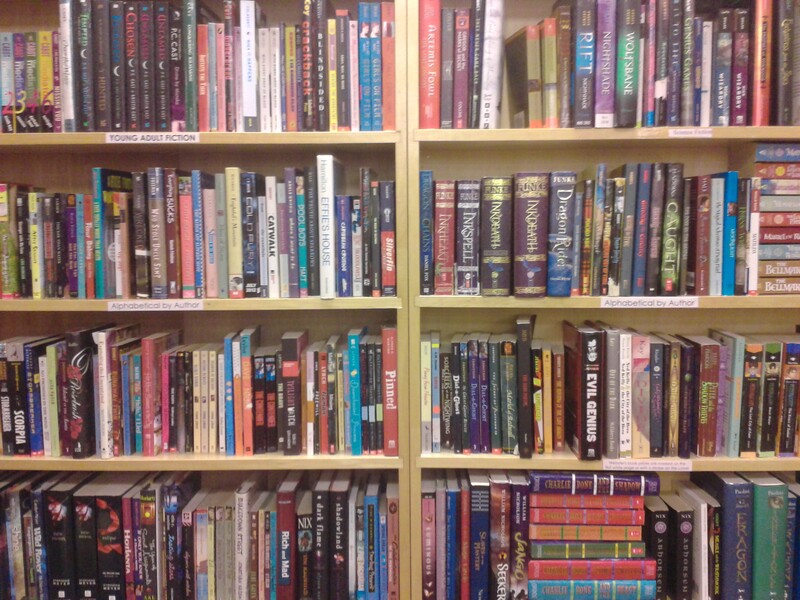 Take your child to a used bookstore, point them at the children’s section, and let them explore. They’ll find an armload of treasures that you’d never think to get for them, every one of which will last for more hours than a plastic trinket based on a TV show. Plus most indie bookstores, including the one where I work, have activities aimed at kids, from storytime to tea parties. Start your kids reading now and they’ll stick with it for the rest of their lives. 5. Bookstores are the cultural heart of communities with bookstores. From poetry readings and book signings to open mics and acoustic concerts, bookstores tend to be where cultural events happen. Looking for local artists and musicians and actors and writers? 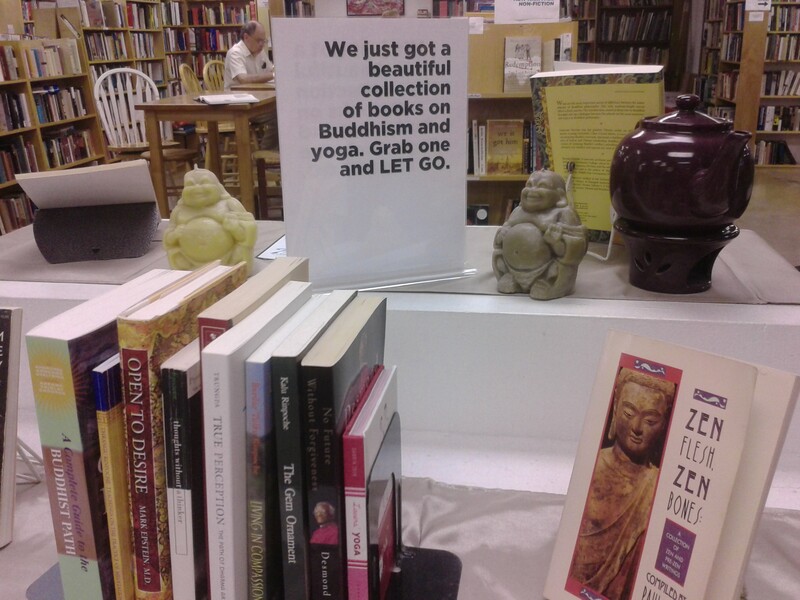 Look no further than your local indie bookstore. Each time I move to a new town, I go immediately to the local bookstore to meet all the wonderful people who congregate there and to find out what’s happening in town. Jason Crane is the manager of Webster’s Bookstore Cafe in State College, PA. He’s also a poet and interviewer. How was your last professional development day or meeting? The workshop I attended last week rocked (pun intended)! The “Energy Education Teacher Workshop for Grades 5-8” is funded by the Pennsylvania Independent Oil & Gas Association (PIOGA). Initially I was intrigued when I saw the invitation via email – free Staples gift card and a collection of materials to take back to my classroom. But I was a little nervous about where the funding was coming from… was I about to sit through a full day of propaganda? To my wonderful surprise, the information and creative lessons I came away with were by far the most valuable part of the day (even above and beyond the Staples gift card). The instructor, Sue Gove, navigated the touchy drama surrounding natural gas in Pennsylvania and provided an organized, full picture of energy education. I’ve taught both ELA and reading at the middle school level, and I would be proud to add some pieces of this interactive workshop to my ELA or reading lessons with middle school students. The workshop was organized by first giving us a Powerpoint overview of the natural gas industry in Pennsylvania. We were given time to meet with representatives who answered all of our questions. They spent a good bit of time sharing about the career opportunities in this industry that are available right now for recent high school and/or college graduates. After that Sue walked us through a series of interactive lessons that inspire students to think about and discuss energy. What I liked the most was that we took time after each sample lesson to brainstorm ways they could be adapted for multiple disciplines. Even though this feels very much like a science oriented workshop, I found many useful ways to bring pieces of these lessons into my Reading and ELA classrooms. A sample of this process can be found on the Kids Get It website where they show a sample lesson and highlight ways of using that lesson in various disciplines. Sue also talked about the need for people to be energy literate. Our students need to learn how to conserve energy, what careers are available, and how to develop and use new forms of energy that are renewable, clean, and safe. But they should understand the current and historical aspects of energy usage before they’ll be able to dig into those other areas. What a fantastic opportunity to create a multi-disciplinary unit at the middle school, elementary, or even high school level. A copy of all the state and Common Core standards for each discipline were also included in our take-away materials. We referred to them throughout the day to make sure we were staying aligned to the standards. A recommendation at the end of this workshop has stuck with me – be an energy ambassador. So today’s Nourishing Nonfiction post is not a review of a book; rather, it is a challenge: read something nonfiction (and preferably non-propaganda) about energy today. It could be a newspaper article, something from the PIOGA Energy Education Program or Kids Get It website links below, the first chapter of a book you find on Amazon, or anything else that strikes you. But read something about energy today! 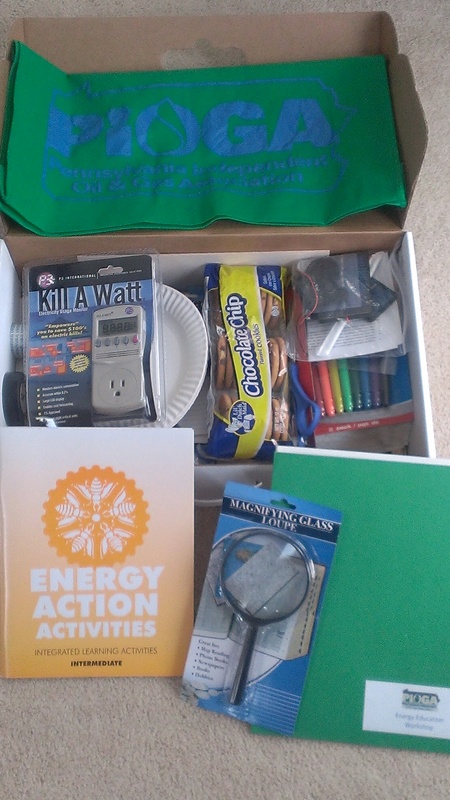 Become energy literate and consider helping your students learn more about the impact energy usage has on all of us! Americanah by Chimamanda Ngozi Adichie, is one of those rare books that not only rocked my literary world, but also my personal world. I really believe every single person I know should read this, regardless of reading tastes or preferences. Perhaps I should begin with my relationship as an Adichie fan. I first heard of her from a fellow teacher at a summer NEH program taught at Central Michigan University by Dr. Maureen Eke. We were discussing companion texts to Things Fall Apart, and someone recommended Purple Hibiscus, a novel by a young Nigerian woman that had similar themes. I promptly read it and then procured 10 copies to offer to my advanced students as an optional choice in my African literature unit. Many students wrote about Kambili’s struggle in their final synthesis essay for that assignment. Half a Yellow Sun also became popular among some students. Then, in 2009, Adichie gave a TED talk, “The Danger of a Single Story,” which absolutely revolutionized the way I teach about racism and literature. Our tenth grade world literature course really became a focused discussion of the single story around the world. Students were able to speak about situations when they were the victims of a single story and when they perpetuated a single story. I’m lucky enough to be presenting about transforming my teaching with her TED talk at this year’s NCTE conference in Washington, DC in November. So then, Americanah came out, and since I tend not to buy hardcovers, I waited for it to come out in paperback…and then I waited until I knew I would have a few uninterrupted hours to read (a 4 hour plane trip) and just devoured it. Describing it, though, seems like it would be reductive. How can I possibly convey the experience of reading this book? At one point in the book, Ifemelu says to herself: “Why did people ask “What is it about?” as if a novel had to be about only one thing,” and I think this novel is one that explores many things and many feelings and many ideas. The narrative structure of the novel alternates from Ifemelu to Obinze (her high school sweetheart) and sometimes includes some of Ifemelu’s blog posts (I really wanted more of those). To explain the plot without being reductive is a challenge, but let me just say it encompasses the discovery of self, the discovery of self in society (multiple societies, really) and it is also a novel about relationships–with family, with friends, with lovers. Of course, there were so many elements of the book beyond just delving into racism and what it means to be black in America. She references Light in August as well as Things Fall Apart, so my book nerd self was just thrilled. The protagonist also experiences depression at various times in the book, and this was particularly powerful for me to read as well. Please go out and read this book and talk about this book. Conversations need to be had, and I am so pleased Adichie has given us yet another text to explore and to discuss so we can come to a better understanding of each other. I know Penn State has chosen this as the common text for all incoming freshman, and I think other universities have done so as well. I’m thrilled that my students attending PSU will at least have a background knowledge of Adiche and I hope they enjoy the book as much as I did. The thing about Adichie is that she’s the voice of a generation. One of her TED talks is remixed into Beyonce’s “Flawless.” When one of my students showed me the video and said, hey, that’s the woman whose TED talk we watched, I just about melted. At the end of the year, I asked my English 10 sophomores to write about the one thing they will remember from the class all year. And about a third of them (many boys) said the idea of the Danger of a Single Story will stick with them for a long time and will make them view the world differently. More quotes from the book here on Goodreads. Posted by Kate, VP Secondary Schools. Ok, so maybe these articles are a compilation from July 2014 and not just this week, but they’re still worth every second of your time. The articles I’ve chosen reflect events that largely impact literacy education on a national and state level; however, I encourage you to search for news that is relevant to your local community or district. I often search my School Board Minutes and Agendas, local newspapers, NCTE Inbox, and local bulletin boards for local news. Of course social media like Twitter and Facebook are often the quickest ways to learn about current events. Just be careful not to mix up news with opinion! The NCTE Inbox is highly recommended to anyone interested in an easy shot of news and current events in education. NCTE will send a neatly organized list of top news stories and classroom ideas through email once per week (if you’re a member) or once per month (if you’re not a member) – for free. Sign me up! Myers is a pivotal figure in modern YA literature. I remember using his novel Monster with 8th grade students who did not have a particular love for reading. This novel is written as a script and takes place primarily in a courtroom. My students were able to pull the classroom tables back, set up a mock courtroom, and act out the novel as we read together out loud. It was the one activity all year that seemed to really hook them into reading – all they wanted to do was read and discuss the book! The Neshaminy High School Newspaper editors have refused to print the word “Redskins” in their paper due to personal and professional objection to the derogatory nature of the word even though that is the name of their school’s sports team. This launched an on-going court battle over the constitutional right to free speech in regard to school settings. This article describes the controversy and goes into the legal and constitutional precedent for various court rulings on this issue. Even though the Neshaminy School District is located in Pennsylvania, this article will reach the heartstrings and minds of educators all across the nation. What a unique way to draw adults into reading! In addition to learning valuable, real-life reading skills (like how to read recipes and nutrition labels), adults in Philadelphia are getting a new invitation to visit their local library. I might even drive the 2 hours to go visit one of these culinary literacy events myself. You can link directly to the Culinary Literacy Center webpage through the Free Library of Philadelphia website. This article brought up a raging debate in my mind. As literacy teachers, how broad should we make our definition of literacy? And that’s not even getting into how policy makers, families, administrators, and teachers in other disciplines define literacy. Right now I’m at the NCTE Affiliate Leadership Meeting in Minneapolis, Minnesota, and an NCTE representative told us they are also currently discussing the issue of how broad our definition of literacy should be. Financial literacy is typically associated with math… but what is our role as literacy educators (if any) in making sure students are financially literate? Should we be teaching students to read invoices and contracts? I personally enjoy working through the complexities of reality-based-reading with students (the gritty stuff they’ll be stuck deciphering in life – like contracts, advertisements, tax documents and their instructions, and a multitude of other documents we read as adults). This article, while not directly linked to literacy as we know it, is still worth the read! This highly controversial issue has been developing for a couple of months now. The 7 minute video posted to Youtube which shows Stephen Colbert lashing out at Amazon for putting shipping holds and other restrictions on his publisher’s books, summarizes the issue in a tongue-in-cheek, sarcastically funny tone. I looked online to see if I could find any articles or news, blogs, really anything to support Amazon’s side of the issue, and it was hard. Even in the news articles it seems like more space and facts are being given to describe Hachette’s side of the controversy. Regardless of which side of this issue you fall onto, it’s worth getting involved and knowing what is happening in the publishing world! It directly affects the books we all have access to on a regular basis.